First off, be highly cautious in social media automation: automatically liking, following, commenting, etc.. explicitly violates TOS. Growing accounts / gaining traffic using automated tools puts your accounts at risk of being suspended or permanently banned. The moment an account is added on bots, logged on proxies and automated, the account safety is lost.. Although marketers that will use automation gently and varied, can obtain great rewards using it, but they also know and accept the risks. Niche type (legit or fake); virgin proxy; private bot; custom actions; traffic funneling scheme (snapchat/kik user / link in bio / image watermark link) or whatever formula of actions you will apply, can’t keep you 100% safe from the site algorithms that can detect automation. After you have successfully logged into and verified your account by using one of the methods in this post, it is time to warm it up. Once an account is logged into a totally different environment (device/software and IP), it will enter a state of sensitivity to almost every action for a couple of days, that’s why it needs to be slowly accustomed with its new environment, a procedure that we call warm up. Warming up an account is a mandatory procedure to increase chances of good standing on the long-term, it may also avoid some security screens like phone verification. However, please note that all the settings on this page are only suggestions. DAY 1: (regardless of account age): At the first login you can update profile data (make sure you enter unique data) on the edit profile page: name, username, gender, biography etc. Do not add any link in the website field yet! You can also add an avatar and 2-3 media on the feed that matches (or not) your niche. Give only a few likes (3-7 likes), no followings/commenting/DM’s at all. Then let the account rest for 16-24 hours. DAY 2: 10 followings + 25 likes spread over approximately 3 hours. Make sure to set very relaxed delays, don’t hurry up things. DAY 3: 25 followings + 50 likes spread over 3 hours. DAY 4: 50 followings + 100 likes spread over 5 hours. DAY 5: 75 followings + 150 likes spread over 6 hours. DAY 6: 100 followings + 200 likes spread over 7 hours. DAY 7: 125 followings + 250 likes spread over 8 hours. Now you can add the link in the website field (make sure to follow these safe linking guidelines). DAY 8: 150 followings + 300 likes spread over 10 hours. DAY 9 and beyond: 175-225 followings + 350-400 likes. DAY 1: (regardless of account age): At the first login you can update profile data (make sure you enter unique data) on the edit profile page: name, username, gender, biography etc. Do not add any link in the website field yet! You can also add an avatar and 2-3 media on the feed that matches (or not) your niche. Give only a few likes (5-10 likes), no followings/commenting/DM’s at all. Then let the account rest for 16-24 hours. DAY 2: 25 followings + 50 likes spread over approximately 3 hours. Make sure to set very relaxed delays, don’t hurry up things. DAY 3: 50 followings + 100 likes spread over 3 hours. DAY 4: 100 followings + 150 likes spread over 5 hours. DAY 5: 150 followings + 200 likes spread over 6 hours. Now you can add the link in the website field (make sure to follow these safe linking guidelines). DAY 6: 200 followings + 250 likes spread over 7 hours. DAY 7: 250 followings + 300 likes spread over 8 hours. DAY 8: 300 followings + 350 likes spread over 10 hours. DAY 9 and beyond: 400-450 followings + 800-900 likes. 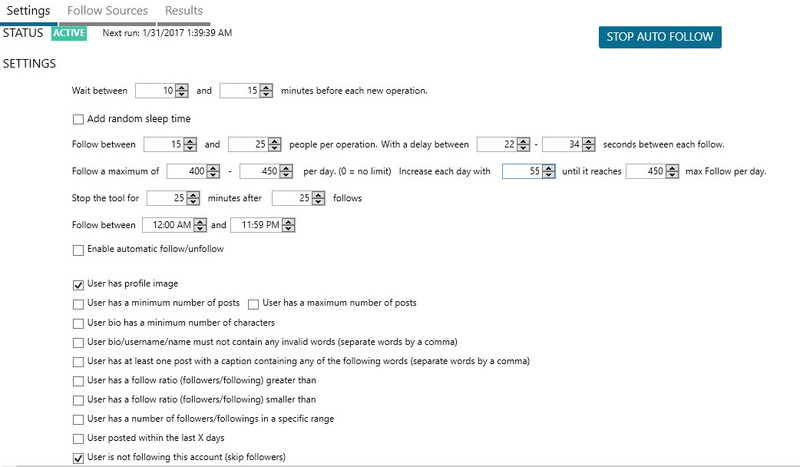 Vary daily time-frame of running accounts between 6-12 hours, for every account. Example: on Monday you can run an account between 12PM-10PM, and on Tuesday you can run it between 6AM-16PM, on Wednesday it can run between 15PM-1AM, and so on. 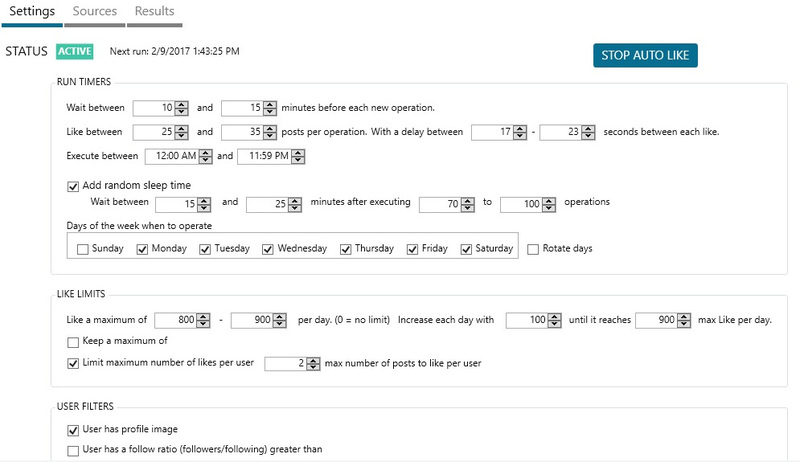 If your tool can vary the daily running time-frame, make sure you enable it and use different time-frames for every account. Make 1-2 days of pause in random days of the week. This will avoid getting accounts flagged of suspicious action patterns. Add one media on the feed at least two times a week. This will make the account more genuine-looking, and will also boost its trust-rank. You can try to push actions further but it will become more riskier. You can also only use liking, instead of following + liking, it will be much safer for the accounts, but the follow back rate will be smaller. At some point you will be close to the maximum 7,5k followings mark. So what you need to do now, if you want to continue increasing your followers count, is start unfollow users so you can follow more people. When you’re close to 6-7k followings, you can stop the follow actions (liking actions can still be continued but a complete pause will be better), and let the account/s rest for minimum 24 hours. Give some comments here and there, etc. 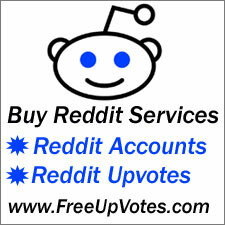 Next post: Make money with Pay Per Install and mobile traffic!